The Department of Information Technology (IT) was started in the year 2007 with an apparition to develop center of excellence in the wide area of Information Technology fields. The department is lead by Dr. S. Uma, PhD and also 8 eminent faculty members. The department has well equipped laboratories, well-stocked library and sophisticated computing resources. From the inception, the Department is continuously progressing in teaching and research & development works. The department conducts a National Level Technical Symposium by name #TECHMAGNETS every academic year. Many National Level events like conferences, symposiums, workshops and seminars are conducted by the department to provide national forums to discuss and disseminate the latest developments in the field of Information Technology. Excellent career guidance is given to our students through renowned personalities like Mr. Shiv Khera. Ms. Kiran Bedi, IPS presided over the women empowerment programs conducted for the welfare of girl students. Mr. Yashwant Kanetkar and Asang Dani conducted a detailed workshop on pointers in C. Power Seminars like Hifuse is conducted every year for our pre final and final year students. Eminent personalities of various MNCs like Mr. K. Purushothaman, Senior Director, NASSCOM, Mr. R.B. Kenneth Jeyaseelan, TCS, Mr. Prasanth Karandikar, L&T Infotech, Mr. P. Sujith Kumar, Infosys are invited to present and give an eye opening on the industrial requirements, current employment scenario and the tips for becoming a corporate citizen for our students to easily get employed in Multinational Companies. Our students have Won Trophies and added laurels to our college in Anna University Zonal Level matches in Cricket, Basket Ball, Foot Ball and Kabaddi. The excellent academic records of our students have placed them in the MNCs like CTS, L&T Infotech, IBM, HP, Prodapt Solutions Pvt. Ltd., KGISL etc., Thus, the IT department of Hindusthan Institute of Technology prepares its students as the best citizens of our Nation and excellent candidates for organizations in the knowledge-driven environment of the 21st century. 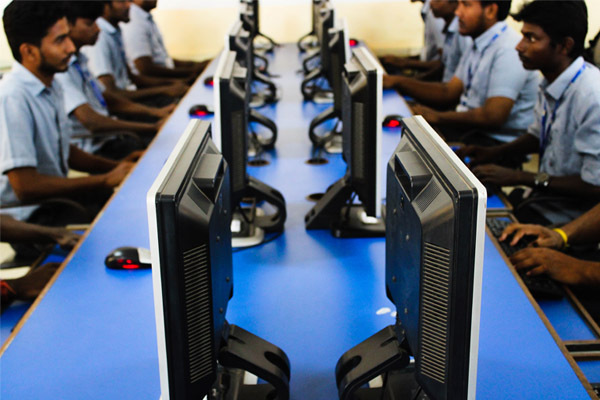 To evolve as an internationally reputed center of excellence providing state-of -the–art facilities and globally recognized faculty to mould the students into experts of high caliber in information technology and citizens of ethical excellence to become the best entrepreneurs to serve the society. MD5: To promote partnerships with industry and community. PEO1: To provide students with a strong foundation in mathematical, scientific and engineering fundamentals to resolve computingproblems (Core Competence). PEO2: To provide an excellent learning environment with an awareness of the life-long learning needed for a successful professional career (Learning environment). PEO3: To train the students to inculcate strong ethical codes, communication skills, teamwork, leadership and demonstrate good citizenship (Social Responsibility). 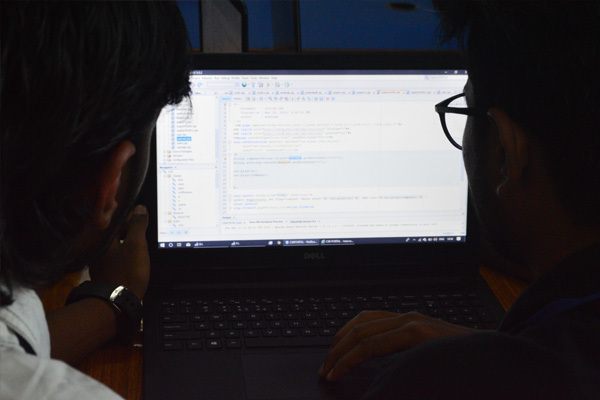 PEO4: To equip the students in core areas of Information Technology, so as to be capable of analyzing, modeling, designing and synthesizing technical ideas to create unique products for the real life problems (Technical Competence). PEO5: To inculcate high professionalism, entrepreneurship skills and ability to work as part of teams on multidisciplinary projects and diverse professional environments (Professionalism). PSO 1: The ability to apply the knowledge of mathematics, science and computing to identify, analyze, design and develop computational solutions and interpret the results. PSO 2: The competency to employ their professional skill set and problem solving skills in creating innovative career paths to become an entrepreneur in the global market or an employee and engage in independent and life-long learning for continued professional development. PO1: ENGINEERING KNOWLEDGE: Graduates will acquire knowledge on applied mathematics, sciences and algorithms in solving complex computer engineering problems. PO2: PROBLEM ANALYSIS: Graduates will generate solutions by conducting experiments and applying techniques to analyze and interpret data. PO3: DESIGN /DEVELOPMENT: Graduates will possess strong fundamental concepts on data structures, advanced programming, operating systems, computer architecture, database technologies, networking, compiler design, and software engineering. PO4: CONDUCT INVESTIGATIONS OF COMPLEX PROBLEMS: Graduates will be able to demonstrate research based investigation to solve complex problems with excellent programming, analytical, logical and problem solving skills. PO5: MODERN TOOL USAGE: Graduates will be able to utilize the sophisticated technologies, modern computing engineering tools, and software for design and development. PO6: THE ENGINEER AND SOCIETY: Graduates will able to apply contextual knowledge to assesssocietal, health, safety, legaland cultural issues relevant to the professional engineering practice. PO7: ENVIRONMENT & SUSTAINABILITY: Graduates will be able to understand issues related to social and environmental context for sustainable development of engineering solutions. PO8: ETHICS: Graduates will understand the professional and ethical responsibility. PO9: INDIVIDUAL AND TEAM WORK: Graduates will be able to function effectively as an individual, and as a member or leader in various teams under multidisciplinary settings. PO10: COMMUNICATION: Graduates will be able to exhibit professional skills as well as communication skills in both verbal and written forms to express their ideas. PO11: PROJECT MANAGEMENT AND FINANCE: Graduates can understand the engineering and management principles to supervise projects. PO12: LIFE LONG LEARNING: Graduates will have ability to engage in self-determining and life-long learning in the broadest framework of technological change. 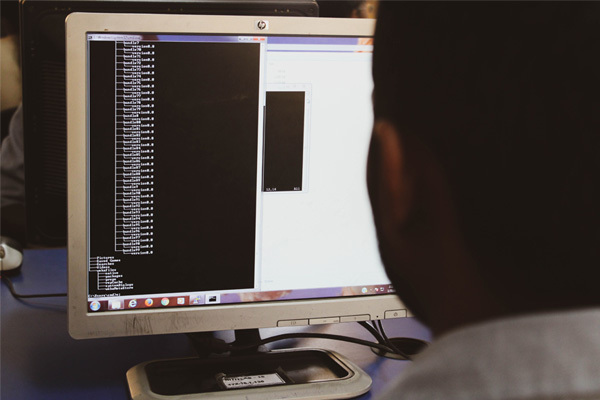 Cryptography & Network Security (CNS) Lab is established with the motive of developing various techniques and algorithms to protect the network infrastructure against various attacks. Various research areas in the field of Cryptography & Network Security is identified and initiated to fulfill the security requirements. CNS lab is started to provide necessary infrastructure to students. Lab is enabled with two high end servers to provide the high processing computing power to the students. 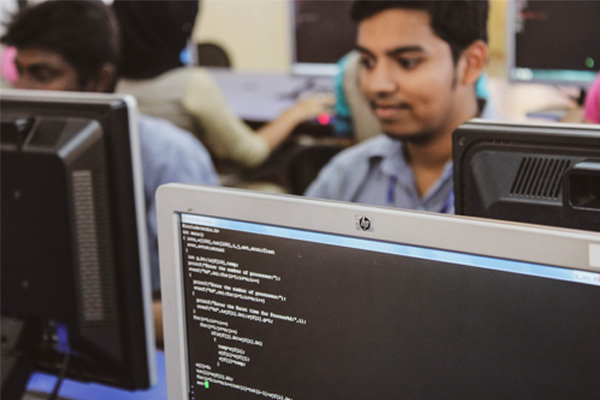 The main motive of the lab is to train more professionals in the area of Cyber Security, web applications and work on more open source software. Operating System laboratory is special and well equipped with the latest configuration machines. The labs are kept open after the college hours to enable the students to engage themselves in getting practiced with Laboratory experiments in their leisure hours. The lab is used to train the students to improve their programming knowledge and make experiments to get familiar with the Core Courses. This lab aims at providing students the knowledge about the operating system such as windows operating system, Linux operating system, Ubuntu operating systems. 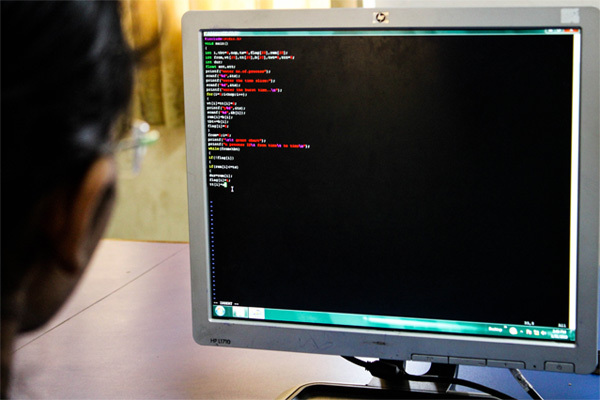 Students are made familiar with Open Source Technologies. Access to both offline and online Internet services is available. Dr. S. Uma is Professor and Head of the Department of Information Technology at Hindusthan Institute of Technology, Coimbatore, Tamil Nadu, India. 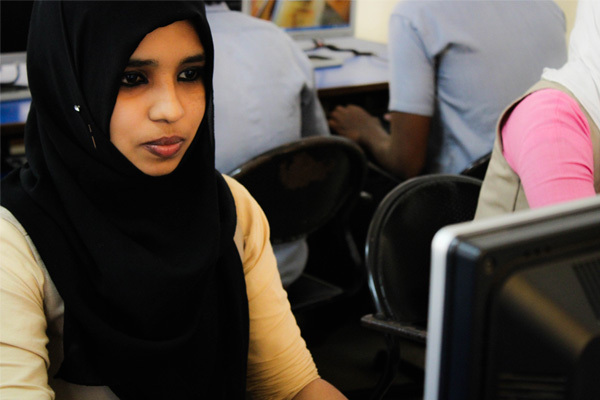 She received her B.E., degree in Computer Science and Engineering (CSE) in First Class with Distinction from P.S.G. College of Technology and the M.S., degree from Anna University, Chennai, Tamil Nadu, India. She received her Ph.D., in Computer Science and Engineering from Anna University, Chennai, Tamil Nadu, India with High Commendation. She has 27 years of academic experience. She has organized many National Level events like conferences, seminars and workshops. She has published more than 80 research papers in National/International Journals and Conferences. She has published 3 Book Chapters She is a potential reviewer of International Journals and Member of Professional Bodies like ISTE, CSI, IEEE, IAENG, etc., She has earned several digital credentials like Google Adwords, Google Adwords Advanced Search, Google Ads Video, Google Shopping, Google Ads Display, Google Mobile Sites, IBM Certifications and IBM badges on latest computer science and information technologies. She is a recipient of “Bharath Jyoti”, “Certificate of Excellence” and “Best Citizen of India” Awards. Her research interests are pattern recognition and analysis of nonlinear time series data and digital analytics. He is having more than 20 years of Teaching Experience He has published 3 papers in International Journals and 10 national journals. and presented 12 papers in International and National Conferences. He has attended almost 10 FDP/Workshop/Seminar/training programs. She is having more than 7 years of Teaching Experience in the field of Computer Science and Engineering. She has published 5 papers in National Journals. She has attended almost 10 FDP/Workshop/Seminar/training programs. He is having more than 10 years of Teaching Experience in the field of Computer Science and Engineering. He has published almost 3 papers in International Journals and 6 National journals. His areas of interest include Network Security. He is having more than 4 years of Teaching Experience in the field of Computer Science and Engineering. He has published in 1 International Journal and 1 National journal. He is having more than 3 years of Teaching Experience in the field of Computer Science and Engineering. He has attended almost 5 FDP & other training programs. She is having more than 3 years of Teaching Experience in the field of Computer Science and Engineering. She has attended almost 10 FDP/Workshop/Seminar/training programs. Gateway Software Solutions offers corporate training for the professionals and techies to enhance their skills and knowledge as per the demand in the IT Industries. Gateway fulfills the entire corporate expectations on Web and Mobile Application Development. Gateway Software Solutions provides Internship Opportunities for the Fresher’s, Job Seekers and Final Year and Pre Final Year Students in the IT sector to enhance their skills and exposure on live and real time projects according to the expectation of the IT Industry. It also provides Pre-Employment Opportunities for fresher’s and students. Collaborating with academia will contribute to the mission of developing a skills ready workforce for the industry. Under this MoU, NASSCOM will provide guidelines and recommendations related to program particulars, such as faculty selection, student selection, infrastructure for training, and evaluation. This will allow us to further provide faculty with the ability to build technical expertise with experiential learning on state of art technologies which will help in enhancing student employability. EduSeva with its base of academic and industry network, delivers a wide range of workshops and hands-on training sessions in cutting-edge computing technologies, soft-skills and research orientation. 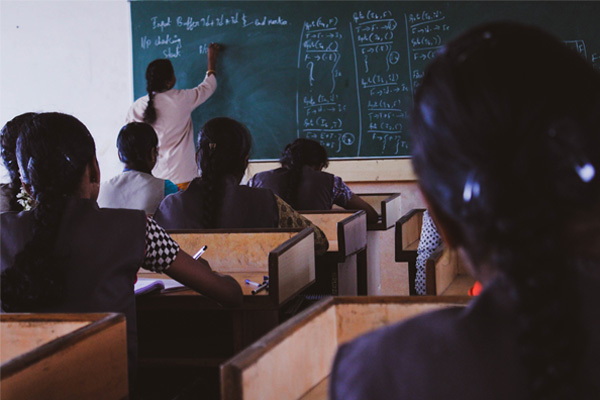 Workshops offered by EduSeva are designed with specific learning objectives that create an immersive learning experience. An MoU was signed between the college and EduSeva for organizingIndustrial Training & Internships, Skill Development Programs and Research Collaborations in the latest technologies to provide capability building and significantly improve the technical skillset of the students.